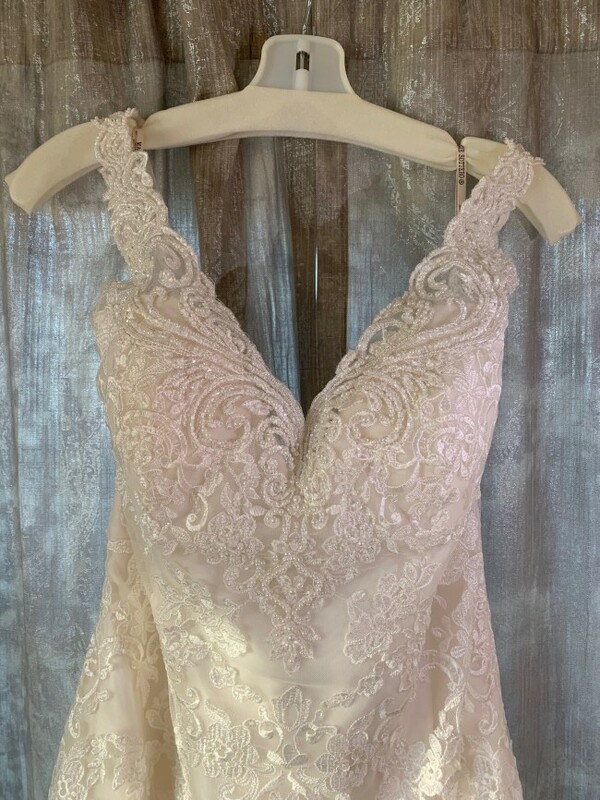 NEVER WORN, Maggie Sottero Zamara wedding dress. Shimmering lace motifs adorn this tulle sheath wedding dress, completing the illusion double-train, illusion open back, V-neck, and illusion straps. Finished with covered buttons over zipper closure. Beaded edge, Marionat veil included!